A Phase I Environmental Site Assessment (ESA) is reporting by a Environmental Consultant on real estate property that might have contamination. Contamination can come from soil or ground water contamination most often times caused by a leaking underground storage tank. In Illinois and especially the Chicago Metropolitan Market, Environmental Site Assessments play a very important role in real estate property transactions. The Illinois EPA is the agency responsible for enforcing contamination clean-ups and working with an Environmental Consultant who has the knowledge and experience with this state agency is very important. 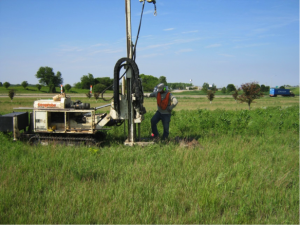 Eagle Environmental Consultants, LLC can determine if a property is contaminated by conducting tests to determine if the soil and/or ground water is contaminated.